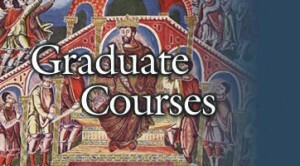 Colorado Theological Seminary’s graduate degree curriculum is designed to increase your knowledge of the Bible, to develop your ministry skills, and to enrich your Christian life. We provide the information and guidance you need to be even more effective in communicating God’s Word to your world. With theological understanding, spiritual formation, and cultural literacy, you will be better equipped for ministry in church, parachurch or nonprofit organizations, and other Christian vocational settings. Contact us today to get started on your online degree!